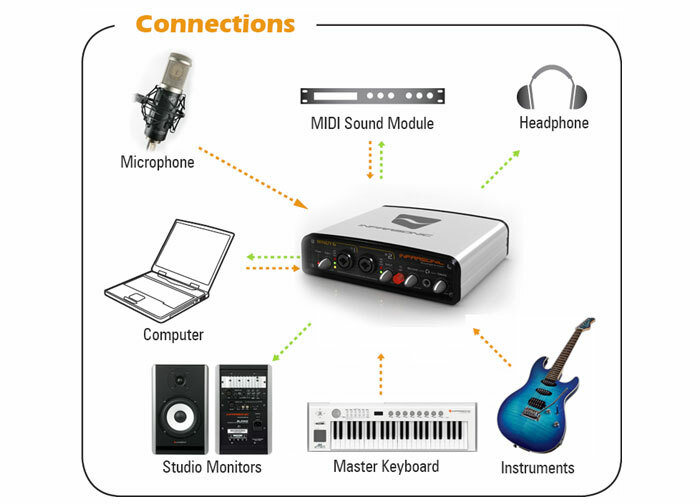 Made for Music. 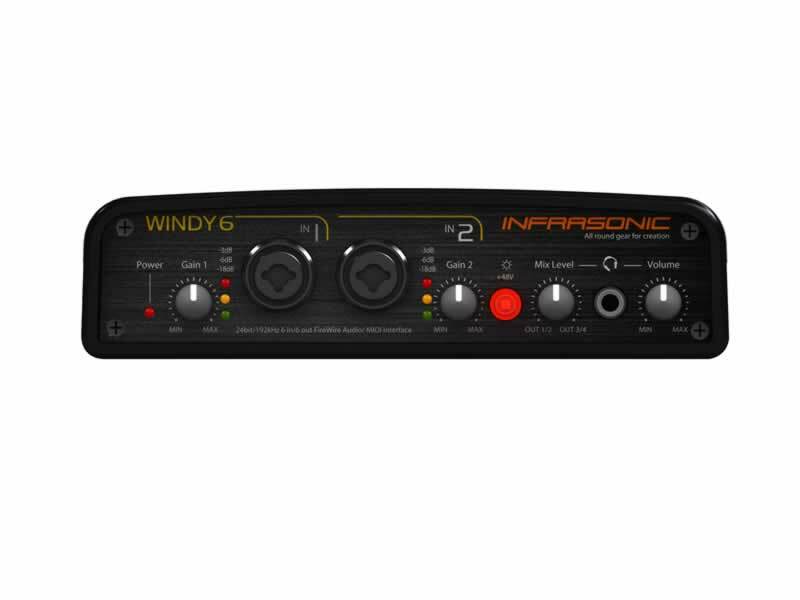 The INFRASONIC Windy6 Audio/MIDI Interface is all-around gear for creation, providing high quality audio and MIDI in and out of your computer at reasonable price. 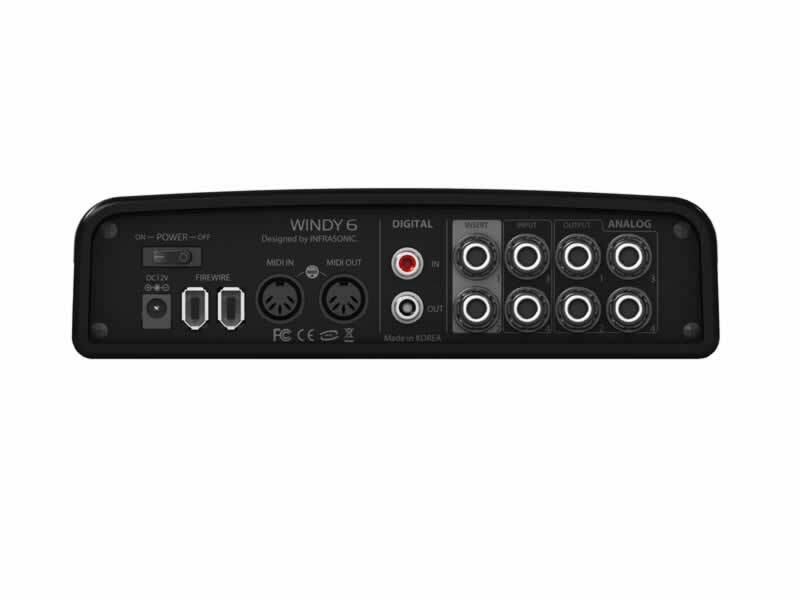 It features high-speed IEEE-1394, FireWire Bus; the Windy6 gives your computer high quality 6 inputs, 6 outputs including 2 digital input and 2 digital output audio interface. 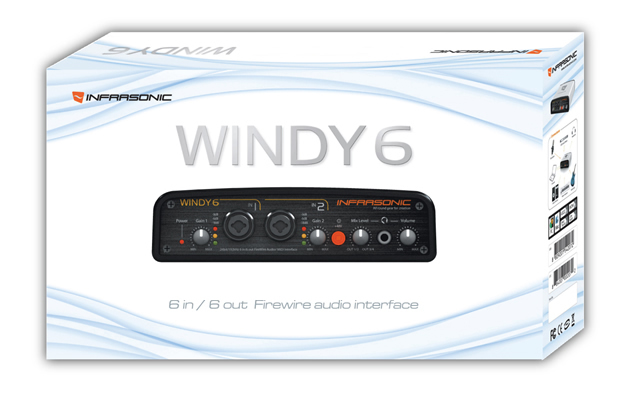 WIndy6 Silver Edition (above). Click a thumbnail to enlarge. WIndy6 Black Edition (above). Click a thumbnail to enlarge. 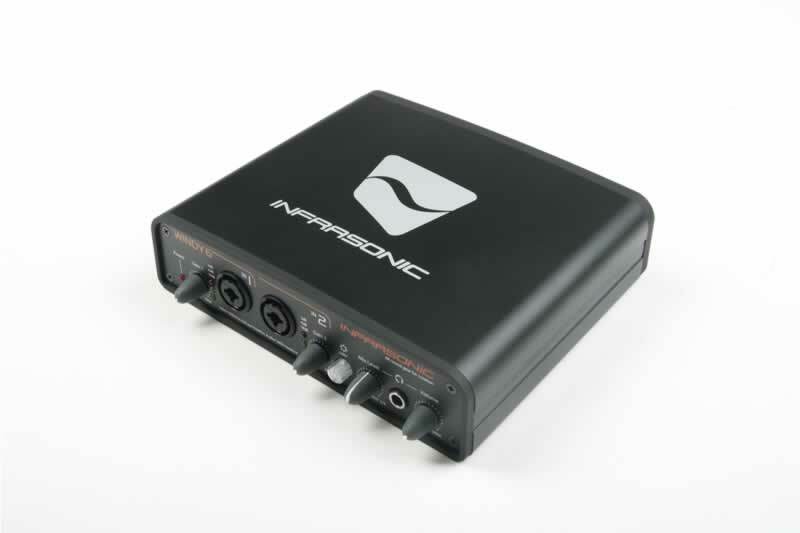 4, INPUT 1/2 Connector - Analog Balanced XLR/TRS (NEUTRIK짰 Combo) Input Connector/ MIC must be connected by XLR. 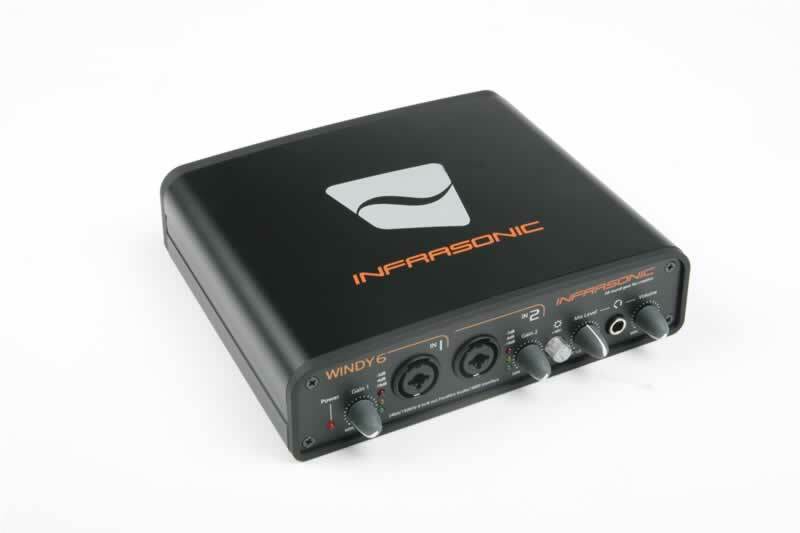 - Connects the Windy6 to your computer using the included six-pin IEEE1394a(FireWire) cable. 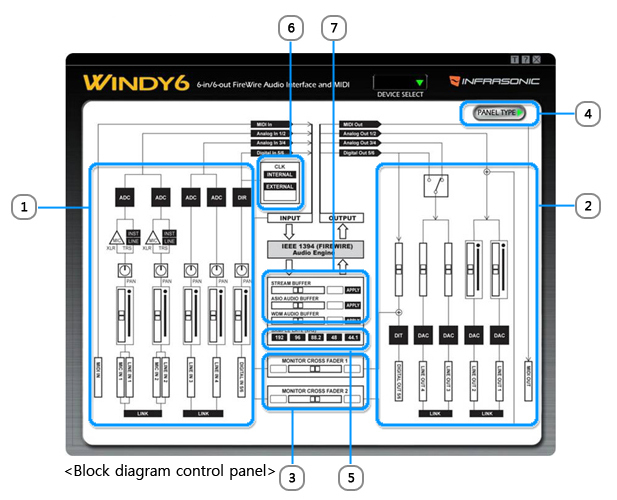 - 2 more Windy6s can be linked and used as multi-Device. 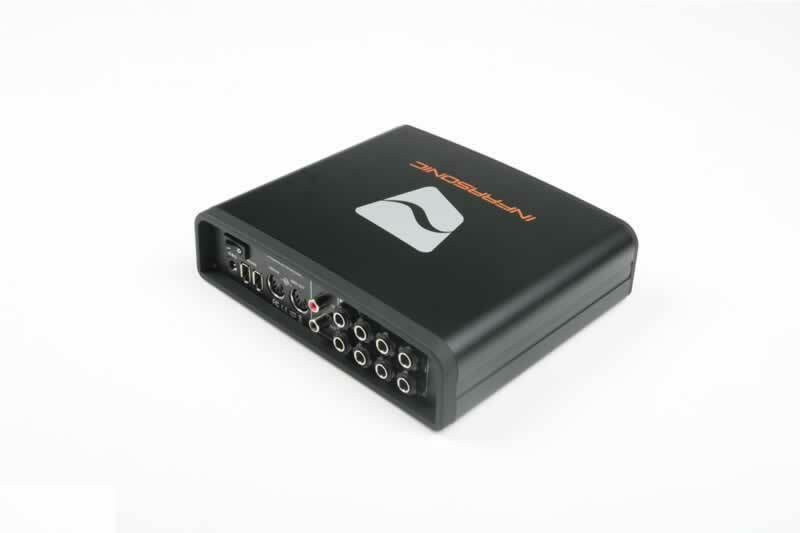 - The 4 output jack is built in a servo-balanced design, handling output level of unbalanced and balanced correctly. 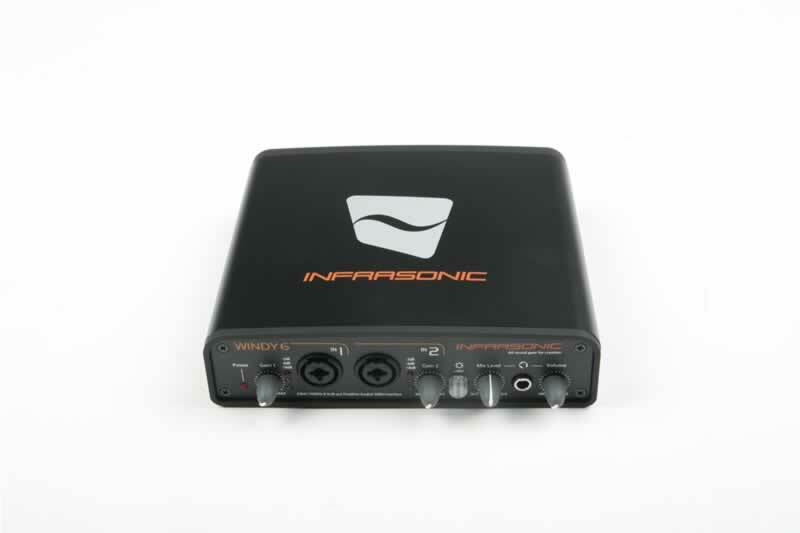 Type Unbalanced 1/4” TRS Stereo Output Hi-gain and Hi-powered Class AB type Headphone amps. 4) Plug the included the FireWire cable to the FireWire port of your computer. 6) Have a Fun with the Windy 6! 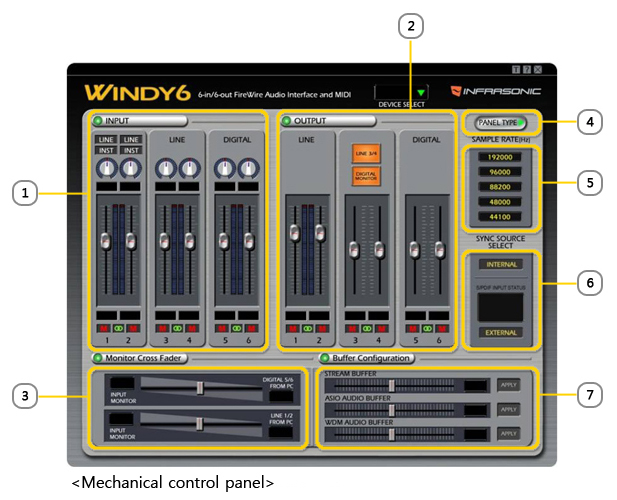 Start by plugging the Windy 6 to your computer before the installation. Then, Please insert the provided User CD-Rom into your Disk Drive and wait for the installation menu to pop up. Click "Install Driver" to install the driver properly. NOTE: Before Prepare your original OS software, as you many need it during installation. 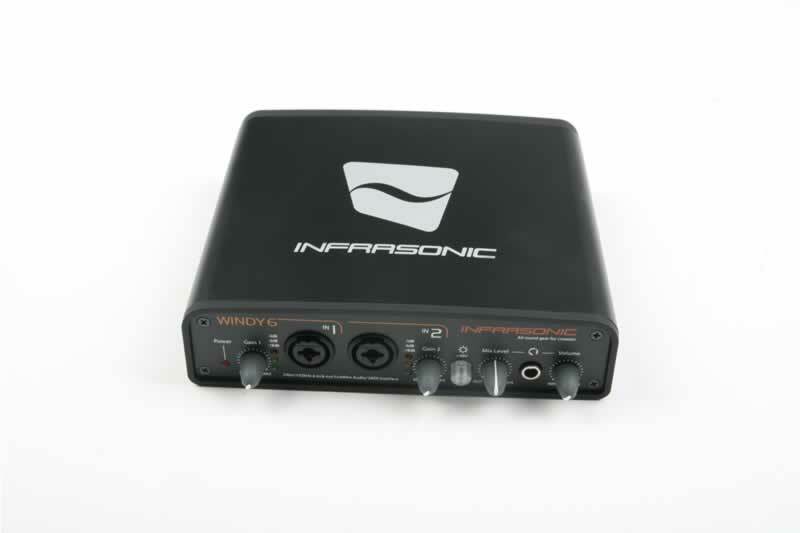 Please check http:www.infra-sonic.com for the latest driver. 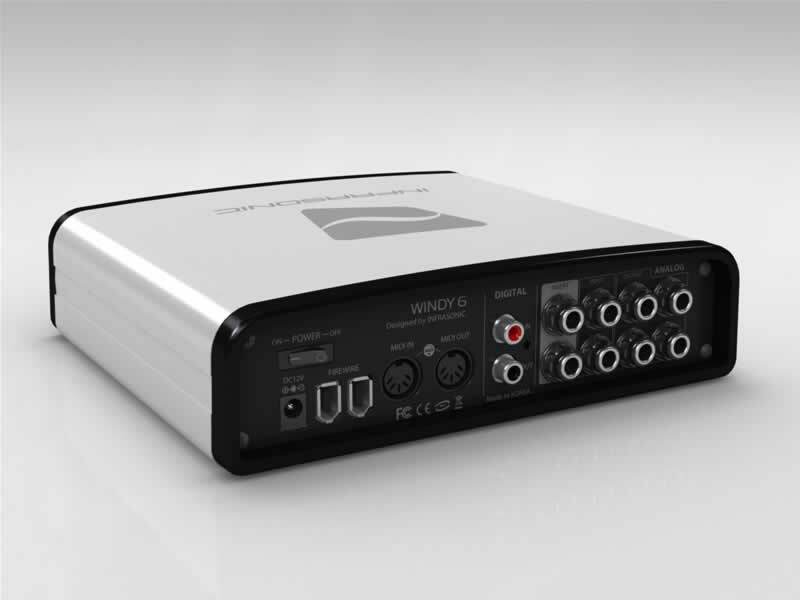 The control panel provides you a useful multi channel software mixer with adjustable 6 virtual inputs and outputs. 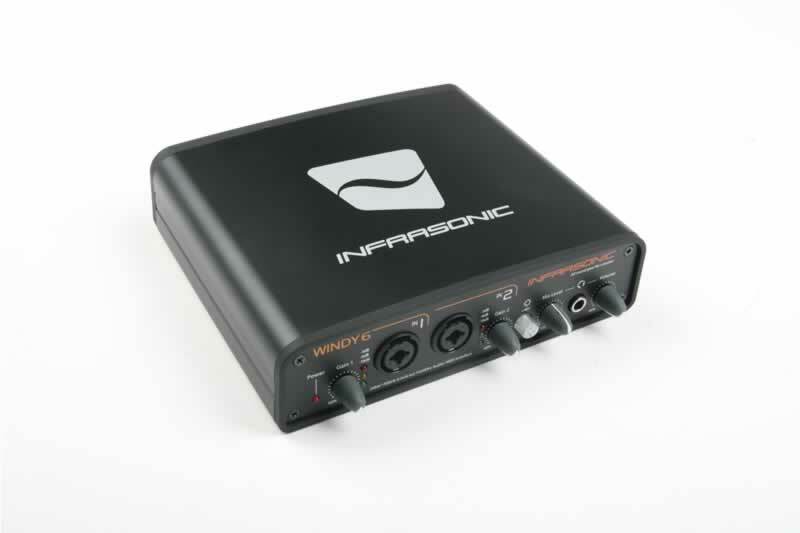 Each of output pair can be routed to any of the Windy6's four analog or two digital outputs. 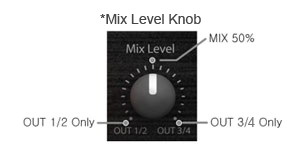 (*) Please note, volume level control is not available in the control panel at 192kHz sampling rate. 3) Device Selector – Select the controllable device when using multi device. 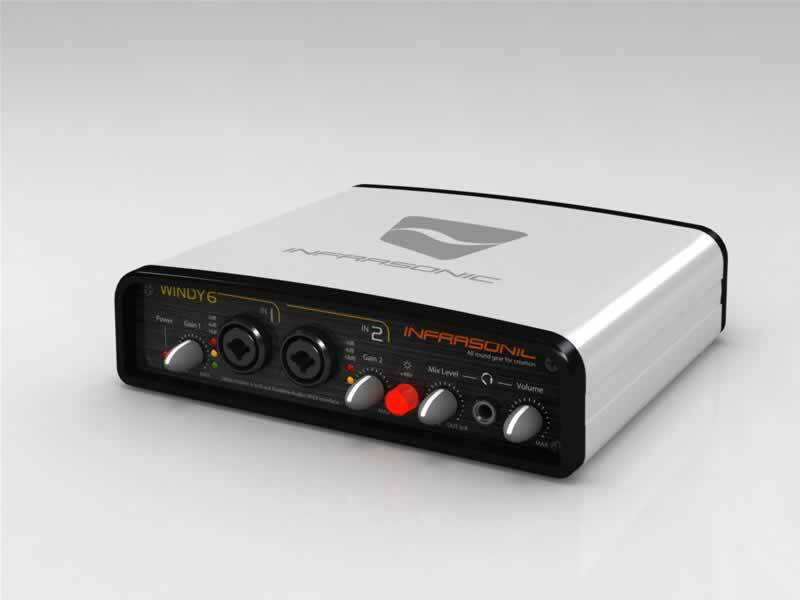 4) Sample Rate Select – the Sample Rate up to 192kHz. 5) SYNC Source select – Select Sync Source for another digital device sycronization. 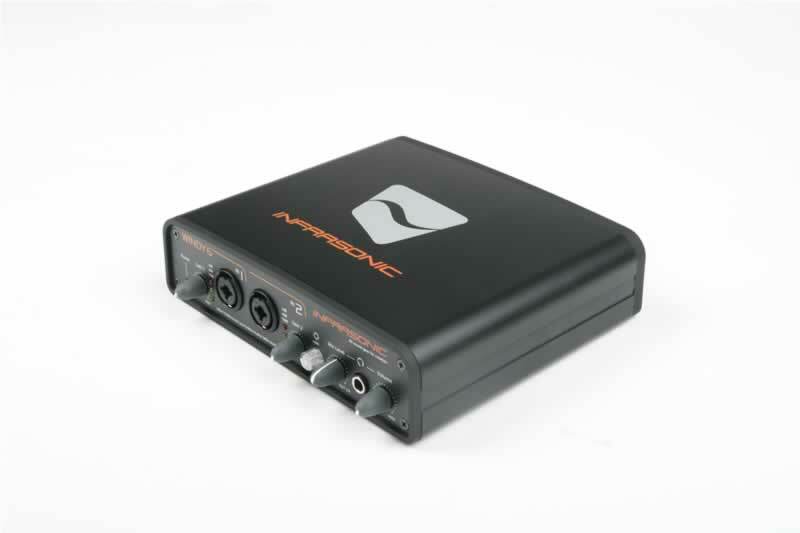 6) Sample Rate indicator – Indicates the current Sample Rate from master device. 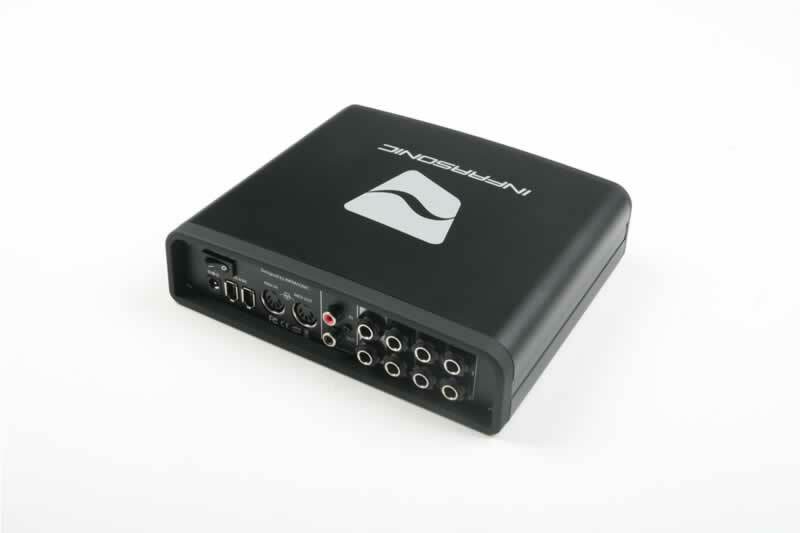 7) Crossfader – Adjust mixing balance between input monitor mixer and internal PC sound.